Allsop Residential held their second auction of the year the day before what was supposed to be Brexit day, and despite the economic uncertainty and political chaos, recording a solid 75% success rate, selling 195 lots at a total of £56.53 million. The biggest lot on the day was a period building comprising five self-contained flats situated in the heart of Mayfair, London W1J. With a Gross Internal Area in excess of 6,250 sq ft and with potential for reconfiguration or change of use, it sold for £6.6 million. Other notable sales on the day included: a detached purpose built building in Waltham Abbey, Essex – internally arranged to provide 12 self-contained flats, it sold for £1.59 million; a 215.81 sq m semi-detached house on a 0.047 hectare site in Golders Green, London NW11, that raised £1.31 million; and £1.03 million was paid for a detached former health centre on a 0.156 acre site in Friern Barnet, London N11. 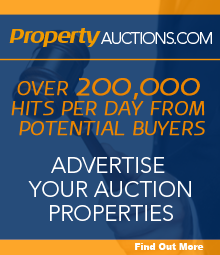 Entries are now being taken for Allsop Residential’s next auction and should be submitted by 3 May. The auction itself will take place at the InterContinental Hotel Park Lane, One Hamilton Place, Mayfair, London W1J 7QY on Thursday 30 May.